Winnie-the-Pooh—the whimsical name that reminds children and adults everywhere of the silly, lovable bear who loved to dip his paw into pots of honey, have fun with his pals in the 100 Acre Wood, and spend time with his special friend, Christopher Robin. However, before Winnie-the-Pooh, there was a real bear named Winnipeg, and SHE was the inspiration behind author A.A. Milne’s famous stories. This delightful picture book tells the true tale of how Winnie-the-Pooh came to be. In 1914, a young Canadian veterinarian named Harry Colebourn left his home in Winnipeg, Canada to travel overseas. The Great War (World War I) had begun in Europe, and Harry enlisted. He would be caring for the soldiers’ horses and doing his part to help with the war effort. When he reached the train station, he noticed a trapper with a bear cub. Something about the little cub touched his heart, and after much deliberation, he offered the trapper $20 for her. In 1914, $20 was A LOT of money. Nevertheless, the deal was sealed. Now Harry had a baby to tend to and a long trip ahead of him to boot. But he couldn’t just leave her behind! So Harry named the cub Winnipeg—Winnie for short—and boarded the train with her in his arms. 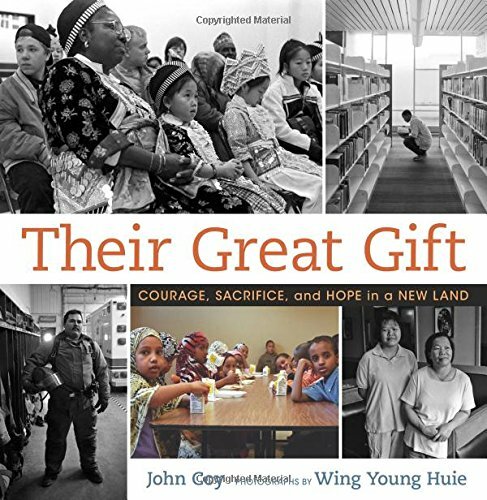 Read the full review of this wonderful picture book that recently won the 2016 Caldecott Medal at amyoquinn.com. That warning is no joke. If you and/or your students, like me, are into comic book hero movies, this book will be to your liking. Minamoto Yoshitsune is like Batman on a horse. Before he could walk, his father and two older brothers are killed in their attempt to kidnap the Retired Emperor and gain respect for past slights. Losing parent at early age bringing about bitterness that fuels the hero to fight injustice as he grows older: check. Did I mention that, unlike the Caped Crusader, this is a true story? Yoshitsune is sent to a Buddhist monastery, by the man who vanquished his father, so he could follow the path of the monks. Instead of becoming a monk at age 15, he finds a traveling gold merchant who is a friend to his family. This is his chance to escape and start his plan to seek revenge for his family. Being caught after escaping from the monastery would have probably brought about a beheading, but when you want to exact revenge, you have to take your chances. Yoshitsune grows into a samurai who takes enormous risks in battle and survives. In one particular fight, he rides a horse down a cliff to penetrate a coastal enemy fortress. He’s an unbelievable fighter and leader. Samurai Rising was a book that I couldn’t put down. Minamoto Yoshitsune is such an intriguing underdog that I kept flipping pages so I would find out what happened next to the most famous of all samurai. The writing, maps, and illustrations are all first class. You feel like you are riding along with Yoshitsune as he hurls himself into the battles. Middle and high school readers who like action and history will devour this book. Now I want a movie. C’mon Hollywood, make it happen! Check out the book trailer at NC Teacher Stuff. My family came here from far away . . .
because they dreamed of more. This story is told in the first person voice with clear, spare, lyrical language. Most immigration stories are told from a single point of view, but this one is not. 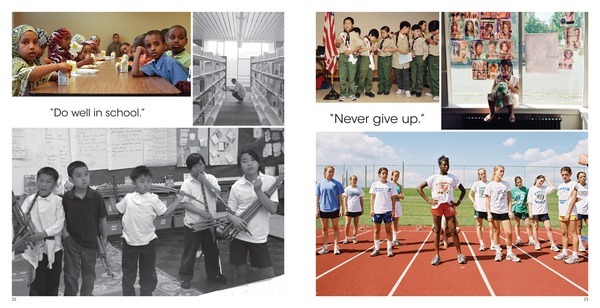 On each book spread are multiple photographs of immigrant families who came to the United States from all around the world. I wrote text that was revised many times as we decided on pictures. While each family’s arrival story is unique, I wanted to focus on the overarching connection between immigrants–and between us all. Is your ancient copy of Thor Heyerdahl’s Kon-Tiki gathering dust on the shelves? 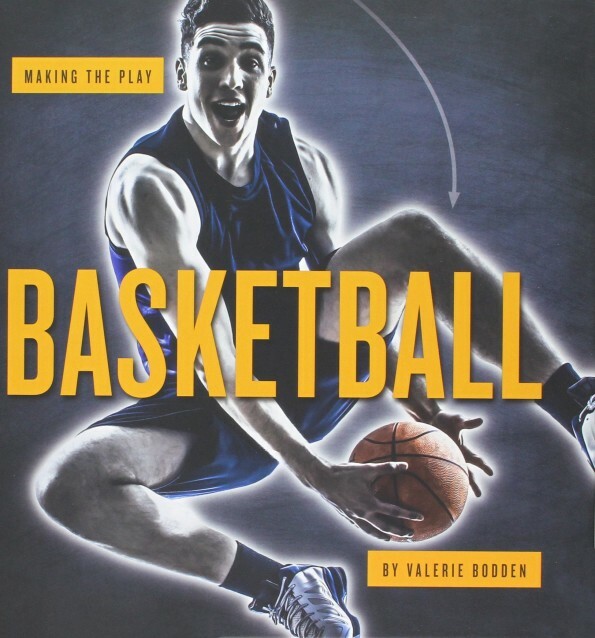 You might want to dust it off and display it next to this attractive picture book. Full review over at Proseandkahn. Just in time for National Poetry Month we have The Bug Book by Sue Fliess. Grab a bucket. Check your guide. Let’s go find some bugs outside! 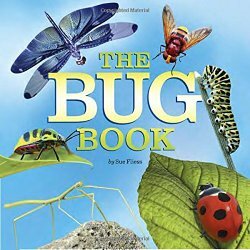 The book is illustrated with colorful stock photographs of insects and other bugs, which will help children learn more about them. The Bug Book will appeal to young readers interested in creepy crawlies, and nature in general. Our related review is posted at Wrapped in Foil blog. For an insect poetry activity and further reading suggestions, see Growing with Science. Do you think about science when you play baseball? Probably not. But you use science anyway. 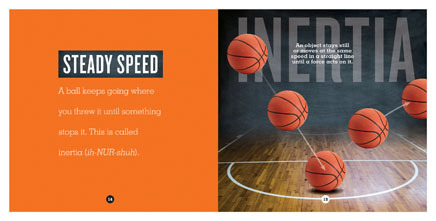 See how the physics of launch angles and inertia affect dribbling and shooting. The phonetic spelling helps young readers pronounce this new unfamiliar word. A new word is best defined by moving from a familiar idea to an unfamiliar one. Begin with something that young readers understand and then name it. Hands can wiggle, hands can clap. Hands can wrap and flap and tap. But hands can help, too. What can they do? Turn the page to find out! 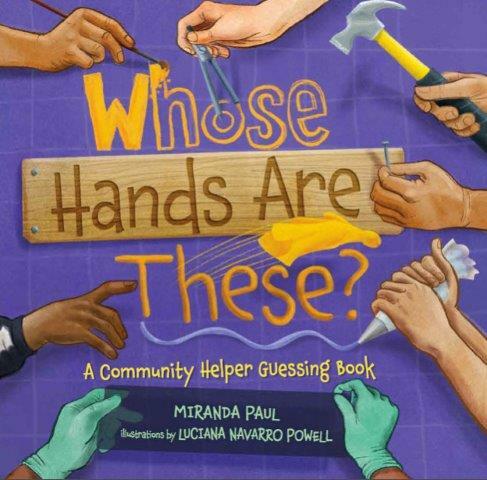 This book shows how people living in your community use their hands to help each other. Some people use their hands to raise vegetables while others use their hands to slice and dice those veggies. Some create art while others fix engines. What I like: Not only does Miranda introduce youngsters to a diversity of jobs, but she does it with rhythm, rhyme, and panache. This book is just plain fun to read out loud. What’s even more fun: every page is a riddle. Can you guess the answer before you turn the page? There are so many ways to help other people. What will your hands do? Head over to Sally’s Bookshelf for some beyond-the-book activities and an interview with author Miranda Paul.